There was a time when I used to look out for the latest Passion CD. I mean, what wasn’t there to love? It was a collection of some of the top Worship leaders and innovators in the Christian music scene. It was new, it was daring, it was radical. It was almost like it wasn’t church, yet you found yourself singing along. You were singing praises and you were worshiping. However, sadly you will notice that it is all mentioned in past tense. The Collection of leaders are great and we are fortunate to have so many on one album. However, the song selection on this album makes all the churches’ songs sound the same. I don’t know why these songs were chosen or who chose them but I think it was most likely a combination of a couple of things. Conference moments: after all it was recorded at a conference and while the recordings may trigger a reminder to the people that were there of a God moment, for the rest of the world it almost feel like a joke that we missed the punchline for. Commercial success: Songs that are going to be a highlight for the leaders (and bands) involved – after all they do need to make a living. Record labels: People in suits and ties sitting around a table and talking about the album as a whole… what songs fit, which songs don’t… which songs are strong and will be picked up by the wider public and which songs won’t. I understand that when putting an album like this together it could be technically difficult to find the right songs. You need to get the right balance and the right feel while deciding which artists get the prime spots on an album. (Interesting to note that Chris Tomlin features as the first track on at almost half of Passion albums). So why has a recording that everyone once looked forward to so much suddenly became average? The reality is that the world has caught up. While these songs would have caught the minds and inspirations of thousands of young people who have attended these conferences they almost get lost in translation outside that setting. I mean, how awesome is it standing with thousands of people singing these songs, with once voice and one mission? There is a synergy that happens and it’s inspiring. However in your bedroom or in the car it’s almost out of context. To be honest it could have been a lot of other Christian worship compilations I have listened to. Now I know I seem to be bagging this album but I’m not.There are truly some great tracks on here and my personal highlights would be Crowder’s ‘I Am’ and Matt Redman’s ‘Mercy’. I’m not saying that God can’t use the other songs. God can (and will) use these songs to touch hearts. My question is, what is the purpose of this album these days? Is it just a conference audio scrapbook so that you can relive those conference moments? Is it to help sell albums for six steps records and sparrow? After all these songs are also going to be on each of the worship leaders albums too. Is it to create new songs for a new generation? If so the album and the songs presented are starting to feel a little bit “been there and done that” when once these were songs that caught imagination. These were pointed, different, artistic, creative and innovative. The thing with innovation is that if everyone else is doing it, it’s not innovation anymore. It’s the norm. If what you are doing is the norm you aren’t innovating… you’re just like everyone else. I don’t think the church was designed to be ‘just like everyone else’ and therefore it goes to say that neither should our music be. Sure our music should sound like the music we hear in the street and the radio but it’s different too… it has a life saving message for a start. What is sparking the imagination of our younger generation if the church isn’t? I understand that hearing this loved series of albums has become average may be hard for some to read… however we don’t want to get into the habit of giving good reviews just because the artists are our favourite leaders and bands. Our job as reviewers is to critique and push artists to greater excellence, we praise when there is need to praise, and we point out when there is a need for artists to push forward to greater things.. 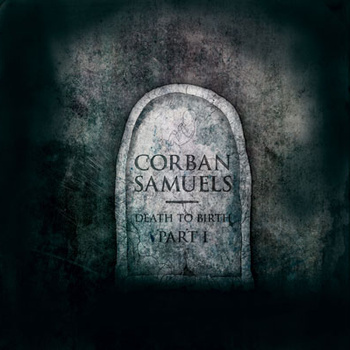 I listen to a lot of music from around the world, and there is still something exciting about finding something new in your own back yard and ‘Death to Birth part 1’ is no exception, from Corban Samuels the alter ego of Christchurch musician Sam Reed in New Zealand. As the title might suggest this album is dark… however it’s not in a spooky way but in a way that is beautiful almost even magical… Hallow. It’s almost easier to think of the album in the same way that you would describe a movie: Just like a director like Tim Burton makes Halloween or death seem like something that shouldn’t be feared, Sam takes a huge dark subject and slowly opens the lid to this new world. For the first album Sam is taking a huge leap and on this concept album and you’ll find yourself being drawn into this world that on the surface seems so dark, however you slowly discover how deep each shade of grey really is in his place. The album builds and meanders through this dark world that he has created, and while it’s dark you can’t help but look around the next dark corner wondering what is hiding there. D.T.B. starts off at a somewhat comfortable pace and tone and that’s a good thing and it makes sense considering that this is the beginning of the journey… both for the concept album series and for Sam himself. The album reaches a somewhat disturbing climax when you reach the track the Dark Vault where you hear the cries of a young woman… not just crying… pleading for help… it’s uncomfortable to listen to… it’s hard to hear… it leaves a lump in your throat… and then the album takes a new unexpected turn. It’s almost like watching a horror movie, you’re expecting to be frightened at some point, you are expecting to be given goosebumps, but truly great directors will keep that under wraps until you get comfortable… and that’s exactly what Sam does here. The whole timbre of the album changes with other instruments making a more active lead… the guitars take on a rawer sound… the album become less synth based and take on a more organic sound… and just as you feel that you want to hear more… the album stops… Well played Sam, well played… we’re looking forward to the next installment. Now… this album is certainly not for everyone… it’s dark… it’s moody… it’s brooding and it has the bravado of a truly Indie album. This however is a great first effort from Sam… and if the next installments of Death to Birth start off how this album ends then we are in for an exciting series of concept albums. You can listen to Sams album HERE… where you can have a listen and then you can buy it… and if you’re a fan of bands like Radiohead, Death Cab for Cutie, Tool and even David Crowder Bands more experimental tracks (Like sequence 1-7 from their ‘Give Us Rest’ album) then it may be worth downloading and taking the ride. You would except church music to be positive… and for the most part it is, however there seems to be a political edge that is creeping in to some of the church music, and while I think there is a need for those songs to be heard I’m not sure posturing them as ‘church songs’ is healthy. And then there is the brand new album from Canadian Ben Cantelon. Ben who rose to recognition as a worship leader through Soul Survivor, and continued the English connection working with Tim Hughes as part of Worship central. This is a positive album… from the first track Ben sings “no more black and white, because I’ve seen the light, everything I see is in Colour” and while that may sound a bit on the cheesy side, it sets up the rest of the album in that light, and leads nicely to the lead single of the album ‘New Day’. For me the pick of the songs is ‘Guardian’… and it’s great. Not only is it a nice play on the shepard picture painted in Psalm 23, but it is catchy and it’s different to a lot of the other stuff that is out there for Church music… it all starts to sound a bit ‘Hillsongy’… or ‘Matt Redmany’… and while that’s fine… I think people are looking for something different, not the same as other great artists. If you have been on the ‘Spirit Break Out’ album from Worship Central you would have already heard the song ‘Savior of the World’ which is a great song and a bit of a rocker. After the first four songs the album fall into a familiar worship album rut. Now I’m not saying that they are bad… in fact they are anything but bad… they are very very good… There just doesn’t seem to be very many surprises. I honestly believe that church music should be the most creative… since we have the most creative thing to sing about. I just think the first songs are so good… they make the other songs seem less spectular. I was disappointed to hear Ben’s ‘Love came down’ again on an album… it’s the third album I’ve heard it on so far (two studio album and one live album)… however even David Crowder recorded ‘All Creatures’ a number of times and look where that band ended up? There is definitely going to be churches singing this music over the next couple of years! History is always made by people who are pioneers… people who have decided that they are not happy with how things are… and so they go about changing the landscape. They don’t do it because they are trying to break new ground they are doing it because no one told them it couldn’t be done like that… and if they were told that it couldn’t be done, they kept on working away at it doing it because it just felt right. David Crowder Band are such pioneers… and now the journey has finally come to and end… and what more fitting end than with a Requiem. This is a massive double albums, and covers the full spectrum of the musical landscape that has been covered over the years by DC*B… they say that when you die your life flashes before your eyes… and this is the closest to a musical flashback as you can get without having a best of album (yet). Musically ‘Give us Rest’ sits somewhere between ‘Illuminate’ and ‘A Collision’… and along the musical journey that you are taken on you will see the subtle head nod to all of the albums in the DC*B library. The album was always heralded as ‘an album that showcases the band’s unique music style and touches on worship, pop, rock, bluegrass and electronic genres’ no one ever denied the group couldn’t pull it off… they just wondered how ANY band pull it off this well. The album starts with foot steps into a Cathedral or large hall into a Requiem Mass and we hear the words in Latin ‘Requiem Aeternam Dona Eis, Domine ‘ or in English ‘Grant them eternal rest, O Lord’ – before starting into the first song proper ‘Oh Great God give us Rest’ which starts of with a feel like ‘Come and listen’ (from A Collision) or ‘Remedy’ (From Remedy). As with any DC*B you are set to be left in surprise and awe and wonder as you get drawn into the music… but where I was left most surprised was with the set of sequences (1-7) … I don’t want to give to much away but take the time to listen to each one… and just listen and get taken away on a ride that will almost leave you… breathless. So… for two discs, you are pulled and pushed as David and his Merry men take you on a journey that will leave you searching… and I think that is what worship is about… sure worship is about sitting and resting in Gods grace, his goodness, his love… but worship is about discovery, and coming to a deeper understanding of who God really is. On the journey you may find some of this album hard (both lyrically and Musically)… and you will find parts of the album that naturally resonate with your spirit, take in those songs – for me they were songs like ‘Let me feel you Shine’ and ‘God have Mercy’ – but take time to go back to the songs that you find hard (maybe lyrically and maybe musically… maybe both) but even in those moments rest in God’s wonderful grace and let God speak to your soul… growing in Worship… it sure makes some of the songs we song on Sunday pretty uninspiring. Buy this album and listen to it first from Top to Tail… let yourself be taken on the journey, and then after that… you’ll never be the same. I have to say I haven’t been as excited about the release of a worship album since the release of Church Music by David Crowder Band, so it seems only fitting that Rend is releasing their new album ‘Homemade Worship by Handmade People’ on the same day as David Crowder Band will be releasing their final album their double CD Give Us Rest or (a requiem mass in c [the happiest of all keys]). What is even more fitting is that Rend is one of the few bands that is brave and imaginative enough to pick up the baton left by David Crowder. For those who haven’t heard of Rend you may have seem their video that went viral iPhone Worship. Northern Ireland’s Rend Collective Experiment have already got a reputation for good honest music that is melodic, scriptural and have a real talent for mixing the best of the old with the innovations of the new. Rends last album ‘Organic Family Hymnal’ was a real light in a worship landscape that was starting to look a bit… predictable, so it’s understandable why there is so much buzz around this new album. Homemade Worship by Handmade People is an AWESOME title for the album… and I was almost tempted to blog about the album title alone… the title gives us a glimpse of a personal God that made each of us (knitted us together) and that’s an amazing thing in itself but the ramifications of that are HUGE… but at the end it means that when it comes to worshiping God shouldn’t we be at our most creative? Rend have taken the best of their last album and have added to it… their sound has been much touted as somewhere between Arcade Fire and Mumford & Sons to Fleet Foxes and Snow Patrol… but I think there is more depth to the album than just that. Homemade worship is an album of 2 halves; one half is a rocker, stomping worship to our God… while the other half is more reflective. The great thing about both ‘sides’ of this album is that they never loose their depth of what they are trying to say… often in faster praise songs other groups would try and lessen the Gospel for a better beat… but not Rend. Rend are no holds barred and they’re not ashamed to state the facts that they are willing to ‘walk the narrow road’ because it leads to God as they mention in their song ‘The Cost’. All through this album their is a real heart to it… and part of that is the fact that it wasn’t written and recorded in studios… but homes, and halls… in community. There are heaps of highlights on this album… from the poppy quirkiness of “True Intimacy” that reminds me of Sixpence none the richer… to the Irish stomper “Build Your Kingdom Here”… and of course the first single ” “Second Chance” which is a powerful worship song and with full focus on the cross with lyrics like “Your Cross it changes everything” how could it not be? Buy this album… put it in your worship collection. This could be seen as a watershed album in the way Worship music will be looked at being produced from here on… an album based on community… creativity… and the Gospel… unapologetic and as straight as an arrow. 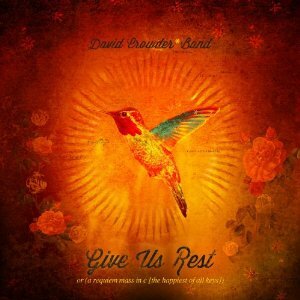 On January 10 2012 the world will receive the last David Crowder Band album ‘Give Us Rest or (A Requiem Mass in C [The Happiest of All Keys]). This is sad news in the world of Christian music as DC*B have been on the cutting edge of making Christian music more accessible, they have made Christian Indie music cool again… they have pushed boundaries/styles/looks and feels of what is seen as ‘worship’ in a largely cookie cutter world of Christian conferences. So when the final DC*B album curtain finally falls who will be left standing in the huge gap left? From where I sit the David Crowder Band Empire has been split into two parts… a USA part and a UK part. Ironically both bands are collectives. Waving the USA flag is the new darlings of the USA christian music scene Denver based ‘Gungor’ led by Michael Gungor. Gungor have discovered a quirky style that continues to push boundaries, especially with their latest release ‘Ghosts Upon the Earth’ which is more like a complete piece… rather than an album of songs, more like DC*B’s ‘A Collision’ in it’s approach… however unlike DC*B, Gungors album ‘Ghosts…’ doesn’t really have that many ‘radio friendly tunes on it, in fact it’s quite dark in parts with lyrics like “I found you naked/I found you lying there in blood…/I clothed your body/I washed the blood and earth from your hair“. This is a groundbreaking album, but needs to be taken in it’s entirety. It needs to be noted that like DC*B you never know what is coming next and with albums like 2010 album ‘Beautiful Things’ there to show the bands creativity you can never count these guys out. And in the Green corner heralding from Bangor Ireland is Rend Collective Experiment. Now these guys are the joker to Gungor’s deep brooding… These guys are willing to be like King David in the Old Testament and get a little bit ‘undignified’… with their up coming album ‘Homemade Worship’ (released 10 January – yes the same day as DC*B’s last hoorah) – If you haven’t heard of these guys before you may have seen their ‘How Great is our God’ played only on iPhones. Rend are more of a whole Worship experience with themes of redemption, devotion and celebration, making them quickly grabbed by conference heavy weights Francis Chan and Shane Claibourne, and a US tour with Chris Tomlin and Louie Giglio. The thing I love about these guys is that there isn’t any guessing where their focus is… and that is firmly on GOD. Their music is honest and true and if you are a fan of groups like Mumford & Sons Snow Patrol and Arcade Fire then this is an album you want to soak in. So there you have it… what has David Crowder Band done for Christian worship… it’s left it in great hands with Gungor (USA) and Rend Collective Experiment holding the UK… the world is musically a better place. 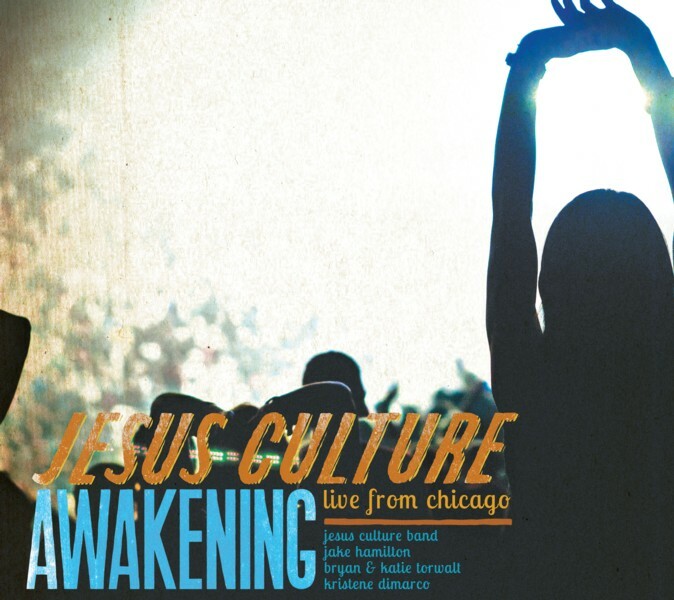 On my lap was the new album by Jesus Culture ‘Awakening – Live in Chicago’… a Live worship album in a sea of Live worship albums, can this album stand up against Live albums from Hillsong, Planetshakers even Matt Redman weighed into the live worship album battle. So what makes this album different? Well… for a start this is Jesus Culture, and this is a Jesus Culture album… and live is where they are at their best. They’ve never been a band that has played by the rules… in fact they seem to have stumbled to their own style as they’ve come on this ‘worship’ journey… and they view their world differently. Sonically the music is very much in line with indie based worship that you would hear from groups like ‘Hillsong United’ – but not as polished (which isn’t a bad thing) – but the lyrics are very much walking you through the Gospel message… but the thing that’s interesting is that this is an album to re-awaken the hearts of those who have believed, and so it’s an album full of reaffirmation… rather than new conversion or just praising God because he’s God. Now don’t get me wrong all that stuff is in their too… but if you were to stand back and view the album obectively as a theme… Awakening is most apt… so a two thumbs up from Jesus Culture from the outset. 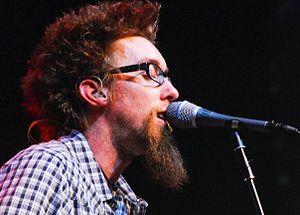 The album starts of with the indie sounding keyboard that you would expect hear on a a David Crowder Band album… and from the start the band are showing they’re not hiding anything… there is nothing up their sleeve… this is about good honest music and being honest to God “Eyes to see and ears to hear your calling, our hearts respond to your Spirit falling” – now I’m not going to get into the theological aspect of the songs on this album as I am yet to hear one whole album that would line up with everyone’s theological view perfectly – this is not about theology this is about honest praise to God. I like the reoccurring theme of repentance that comes up throughout the album… there is a real sense of never being the same after this moment, you will see the world in new light, and I like that… it’s a turning away of your old life.